Ahh the good old days. When link building caused pages to move no matter what the anchor text said and no matter what landing page it was on. The more the merrier, as it were. Nofollow launched via the major Search Engines (Yahoo, Google, Microsoft) [Src] and Matt Cutts was starting to be a name at Google that people were paying attention to. If there was 1 Golden Year where things were pretty damn consistent for Google with very few updates, this was the year of years. Google started making it known inside of the community that they did not want you directly influencing links. Matt Cutts was heavy onto the scene at this point and was Google’s webmaster voice. Hidden deep beneath most conversations was the start of what invariably would turn into Google’s Penguin algorithm. I had the benefit of seeing first hand and ‘hearing from a few selective acquaintances at the time in other highly competitive verticals’ that Google had just manually checked entire SERPs (1-10 for some $$ terms) for over-aggressive link manipulation. Sidebar: Overnight, the Secondary Ticket market in Q1 2008’s entire top 15-20 competitors were booted from Google. Rumors suggested that similar scenarios happened in the Real Estate verticals, but I could never confirm that with Greg Boser, Nathaniel Broughton, Brian Provost or Rae Hoffman. The dawn of the age of ‘blending in’ was upon us. The need to NOT stand out with over-manipulation was as obvious as night and day to me. This event set my Google strategy for the next 10 years. I had always assumed since this time that Google would find another way to tilt its algorithm to actually try and feature the best content that doesn’t have tons of backlinks pointing to it. Google Real Time launched and QDF became a thing webmasters were starting to notice in Google’s search results. Although QDF was first brought up by Amit Singal in 2007. (Goodbye small websites making 500$/month off AdSense – say hello to Panda. Google can make up the 20% elsewhere.) Personally, I think most ‘Made for Adsense’ sites are less than ideal. I can see why Google wanted to weed them out. 2011 was a very busy year for Google, as they were under heavy scrutiny by the FTC that year and into 2012. Google’s FTC probe was ongoing and the company decided to become very vocal through ongoing monthly blog posts documenting Google algorithm changes. This was a rare chance to see how Google would explain updates to the laymen webmaster crowd. At the very end of the year (and at the beginning of 2013), Google got the clearance that they hadn’t committed any wrongdoings according to the FTC. Here is an example of one of those blog posts. Unfortunately, Google stopped doing these blog posts shortly after the FTC investigation. Google Penguin 1.0 launched in April. [Src] If you were in the initial demotion brought by Penguin 1.0 you were done, for good. No pun intended, but Google wanted you out of its index. The latter Penguins proved to be much ‘nicer’. Follow up with Joe Sinkwitz on this. 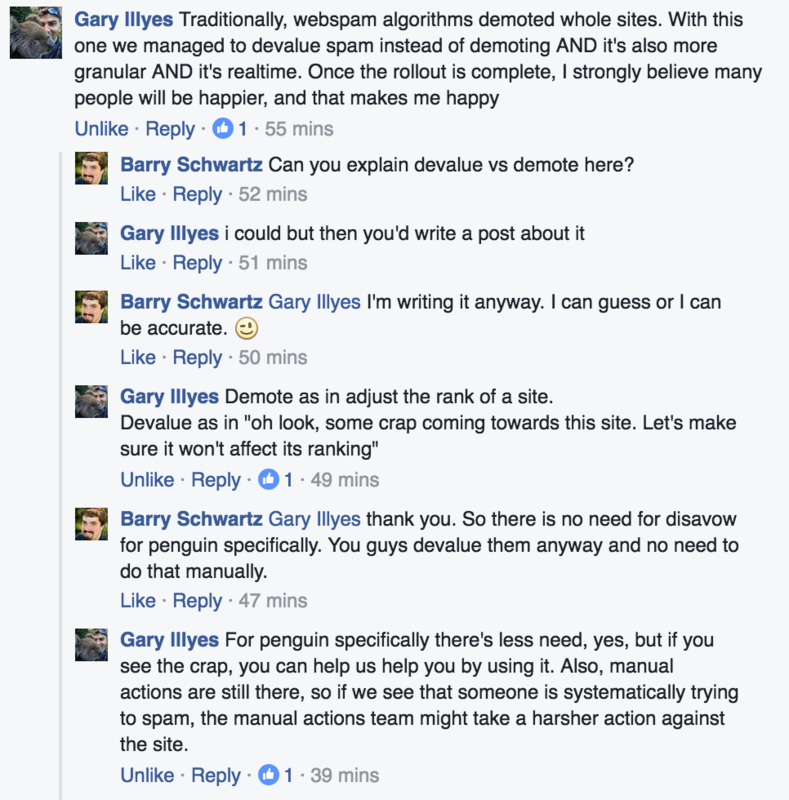 The Disavow specialist is born and overnight many new pop-up experts emerge and start pushing Google’s Penguin (and soon to come Panda) initiatives. Penguin and Panda are cornerstone vehicles towards pushing Google’s core message: Don’t manipulate links and build the best quality content for your users at a natural pace. Link Disavow tool was launched to help Google discount your bad backlinks. [Src] My theory on this tool was that Google launched it to feed their Machine Learning algorithm example sets of manipulative pages that had dodgy backlinks added to them, thus years later allowing the ability to automatically ignore backlinks that represent similar characteristics. Link sellers started monetizing their sites by charging for links to be taken down off of websites. Hummingbird algorithm update came out and the way sites/content was surfaced through Google, more or less, would never be the same again. The start of a multi-year death march of the proverbial exact match keyterm and exact page matching algorithm. Era of Semantic SEO was born. Link penalties were at their height. All the Matt Cutts preaching from 06’-10’ came to a massive fruition over 2013 and into 2014/2015. Negative SEO had a short lived, massive exploit for some months until Google started more heavily ignoring inbound link blasts off of Fiverr, SAPE etc. Folks might argue that Negative SEO happened to them in 2015 and more recently in 2016, but its undoubtedly much harder. Please don’t also lump this into other general Spam tactics that folks try to negatively hurt you, there will always be people trying to spam Google. I am specifically talking about negative link blasts that might de-credit or sink a site’s rankings. 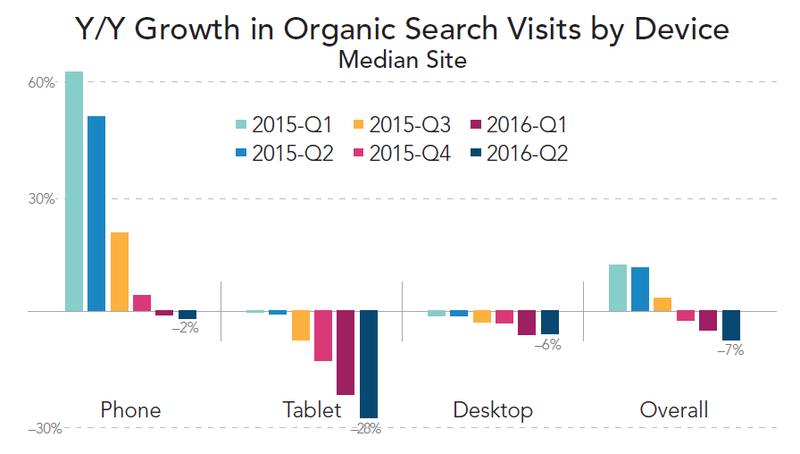 I spotted big brand site demotions in early 2015 that were not, for the most part, blogged about. Almost appearing vertical by vertical, Google went through and cleaned house on the most aggressive link manipulated sites. My theory was the SMB community was complaining so much in 2013/2014 that Google had to go after larger sites so the game didn’t appear so obviously tilted towards favoring larger brands. Not many link penalties and SERP wide shakeups like what was seen from 2012-2015. Google has gotten very aggressive at ‘hacking’ their SERP display and layout. Ads are almost invisible and many queries have content injected above all listings through the knowledge graph. In a feedback session at Google’s Palo Alto campus I went to, it was mentioned by Illyes that they may never do one of those meetings again. Read into that as you may per the next bullet. Penguin 4.OHH came out and most folks were left scratching their heads. Namely because most links (unlike yesteryear) are not being counted today anyways. And then officially stated by Google a few days ago. Hyper competitive head term phrases no longer seem to be pulling rank off of homepages, requiring users to build links to internal pages. 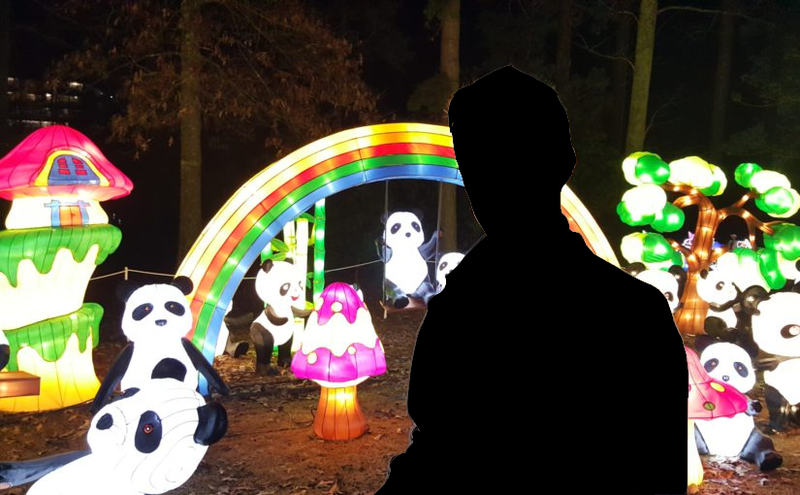 Panda has largely changed and is no longer propping up sites the same way it might have been in 2016 [Src] Content quality seems to be assessed more on a page by page basis vs. sitewide. Increase in reliance on usage signals to rank content. Better have good UX. Continued optimization of Google’s Semantic Analysis of content and feeding that back into Hummingbird. Increase in Mobile search and new disconnected screens from IoT which further cements the importance of understanding how, why and where your audience is consuming your content. Increase in organic competition in your vertical. The days of sites dominating a vertical and controlling a large % of SERP real estate across keyword sets are being systematically targeted by algo updates, perhaps on the back of rankbrain entity identification and SERP diversification KPIs. Other Google Timelines I would put vested credibility in. I warn others that there are a ton out there, most created by people whom I have never heard of. Be weary of historical outlooks on Google and documented historical accounts. Links worked really well in 2005. They still work today but they come with some risks. The sites ranking in Google in 2005 are not what, in large part, are ranking today in 2016. When you look at the sites that still rank today, it’s the ones that have great user experiences and were not undermined by years of ‘we must rank #1 link building’ but instead were focused on building content assets that their competitors we’re afraid to give away.